Kojima Productions had an unveiling of sorts today in Japan, removing some of the secrecy surrounding the upcoming, Metal Gear Rising Revengeance game. Some people are thinking that this game follows in the storyline set by the ongoing Metal Gear series with Solid Snake, Liquid Snake, Old Boss and so on, this game has been confirmed as NOT being a sequel to any of the games in the main Metal Gear saga as is a new stand alone story. In the most recent Hideraji podcast, producer Yuji Korekado, was saying how the game had changed and evolved during development. In that originally, the game was promoted as being able to chop anything. In face during the E3 2010 unveiling of the game, the tagline towards the end of the trailer said, Cut what you will. The development staff have now revealed that they feel they quickly made that up and that that alone would not be sufficient to carry the game. Some of the original developers also feel that the game got to the point where they felt that the vision for core of the game had been forgotten. So much so that they ended up cancelling the entire project even though quite a few major elements such as motion capture and story had already been worked out. This is where Platinum Games comes into the picture, after a visit to the Kojima Productions studio where they were so excited about the project, despite being half done, that they took control of it and development began anew. They also mentioned that that’s why the name had been changed from a Metal Gear Solid title, to stand it out from that series. The director of the game will be announced at a later date. 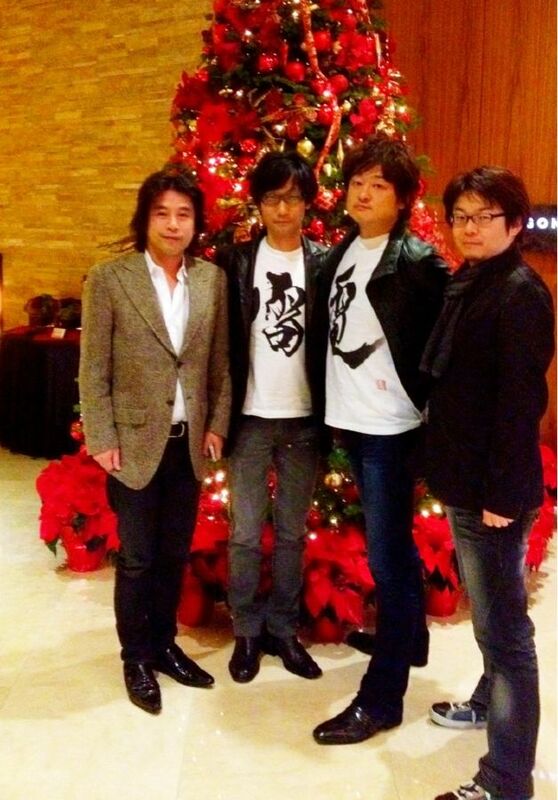 From left: Platinum CEO Tatsuya Minami, Kojima, Platinum producer Atsushi Inaba and Korekado.